When Tokyo was still known as Edo, the city was haunted by recurring and destructive fires. In order to combat the flames, the authorities appointed nimble construction workers as firemen. Their readiness to risk life and limb to protect the city made them heroes in the eyes of the townsfolk, and tattoos (‘horimono’) became symbols of these men’s pride. Of course, whether or not to decorate one’s skin was a personal choice, but the prevalent attitude was that the better you were at your job, the more impressive tattoos you had. Tattoos required guts and pain tolerance, and were thus recognised as signs of manliness and bravery. Death in the line of duty wasn’t uncommon for firemen either, so the tattoos also helped families identify their loved ones. This period of time also marked the height of popularity for ukiyo-e master Utagawa Kuniyoshi’s art, with his defiant, witty prints eagerly embraced by commoners. Ukiyo-e promptly came to form the basis of Japanese tattoo culture. This is also why traditional tattoo artists continue to be known as ‘horishi’, the word originally used for woodblock carvers. 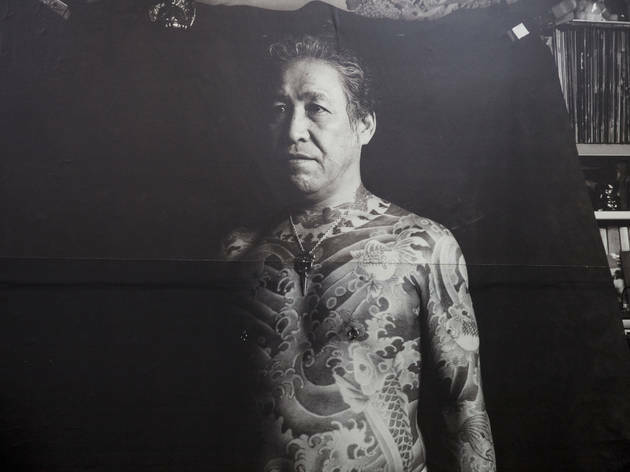 Japanese tattooing is distinguished by its bold designs, which use the entire body to tell a single story and often features elaborate backgrounds (‘gakubori’). These create a sense of depth and drama around the central motif, using waves, clouds, wind, thunder, rocks and the like to express nature, and animals and plants to denote the seasons. Western-style tattoos came to be accepted by the youth after World War II. 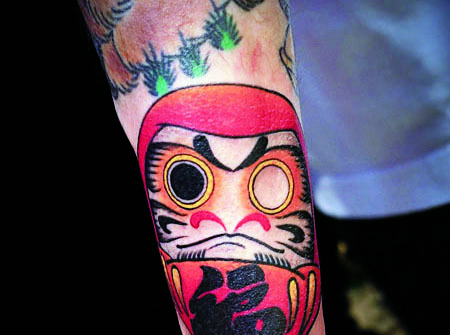 But although Japanese tattoo culture has come a long way from the free-spirited firemen of Edo and these days incorporates more modern designs, it maintains an acute sense of tradition. 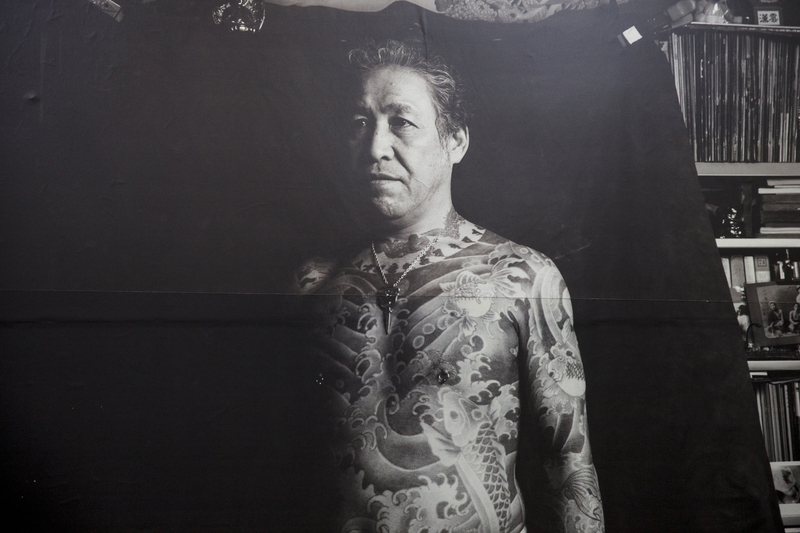 For example, the technique of tattooing done entirely by hand (‘tebori’) is still practised by horishi specialising in traditional methods. The Japanese art of tattooing is steeped in tradition, but also constantly evolves through the incorporation of new influences. Deciding on a motif is less important than picking the right artist – each craftsperson has a unique style and will go to great lengths to accommodate practically any requests. We visit four representative Tokyo studios to learn more. For those looking for distinctive, artistic tattoos or refined Asian-style pieces, this place is highly recommended. The artist, Ron, is well-travelled and enjoys bringing together different cultures at his studio, so Shi Ryu Doh attracts a cosmopolitan group of customers. He’ll lead you through the entire process, which includes deciding on an image, size, theme and so on, and often comes up with a design as early as the following day. In general, Japanese tattoo artists like to take their time with design and preparations, so same-day inking is rare. The studio is located on a quiet backstreet in Jiyugaoka and signage is not very visible, so give yourself a little extra time in case you can’t find it immediately. 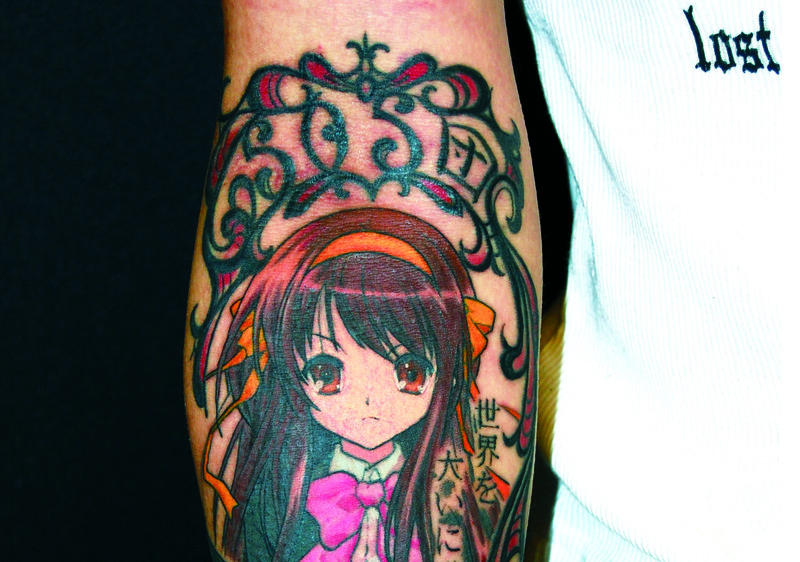 Much like tattooed folk in Japan are expected to cover up, otaku are often urged to hide their obsession with anime and manga from the public eye. So it’s no wonder that animated character-themed tattoos are gaining in popularity. Known as ‘o-tattoo’, this new genre was pioneered by Aki, the owner of Diablo Art who publicly admits to being an otaku – even his studio is full of character figurines. 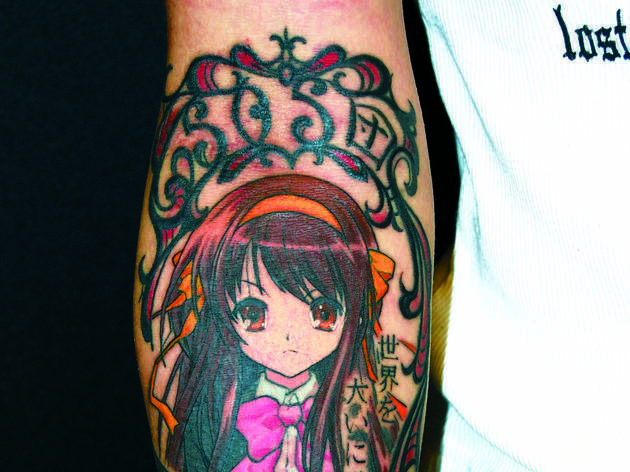 Any professional horishi can recreate an image on the skin, but the intricate details and personalities of specific fictional characters can only be understood by someone familiar with the anime and manga subculture. Aki, who says he has several anime geeks as customers, talks through the specifics with every single hopeful, ensuring your o-tattoo is exactly as you imagined it. Based in Ikebukuro, Horimitsu learned his craft from a master of traditional Japanese tattoo art. He employs ancient tebori techniques to create sublimely beautiful pieces and counts the likes of John Mayer among his customers. Most Japanese artists use tattoo machines these days, but Horimitsu does most of his work by hand, relying on technology only for the finest lines. 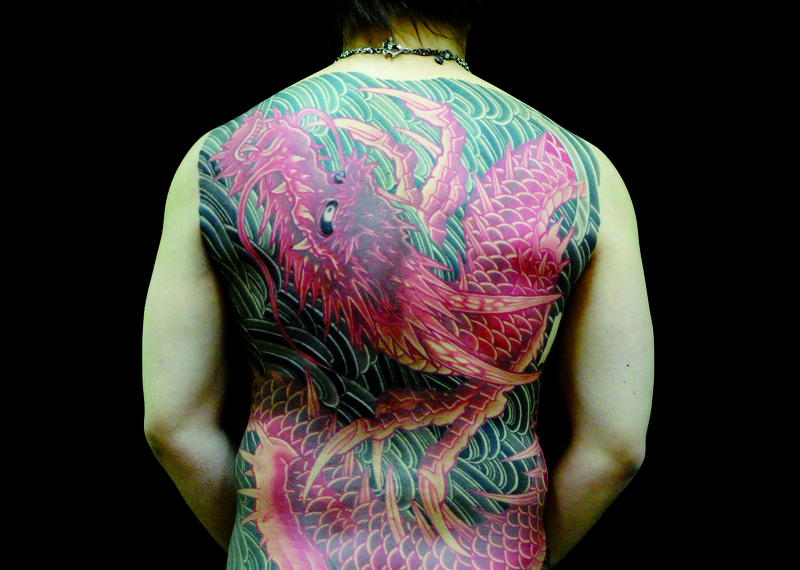 Traditional Japanese tattoos generally take up the entire back and/or arms, but smaller designs can also be handcrafted. Larger pieces require careful size adjustments, so prepare for repeat meetings both before and during the tattooing. 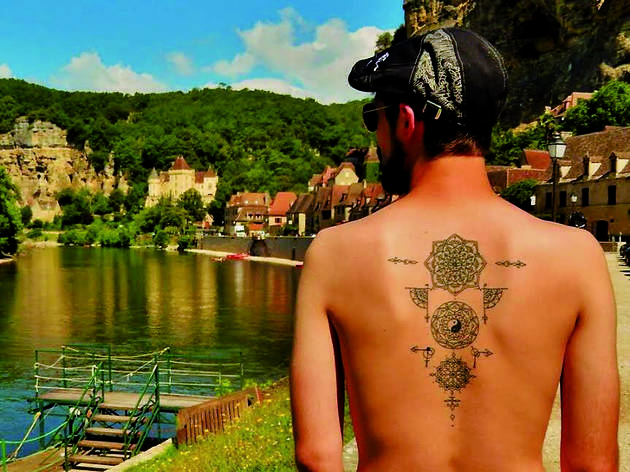 Still, the wait will be worth it — this is the haute couture of the tattoo world. –The word ‘bunshin’, which appears in some of the earliest official records of Japanese history, is the ancient word for tattoos. –Prehistoric clay figurines discovered in the country testify to the fact that primitive-pattern tattoos existed before the Common Era. –While the Edo period gave birth to a vivid tattoo culture described as ‘living ukiyo-e’, several factors led to skin art being viewed in a negative light (hence the banning of tattoos in onsen). 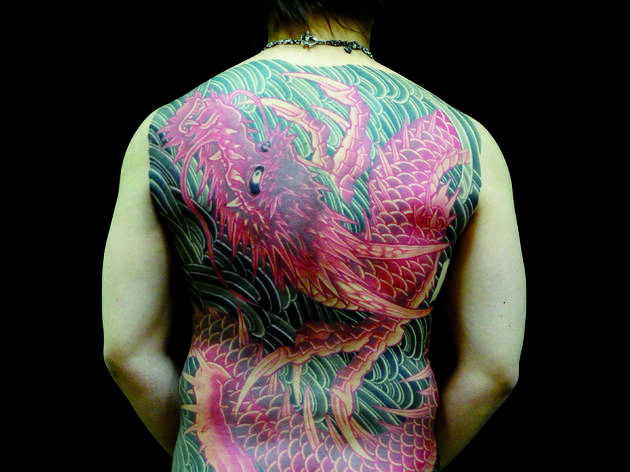 These factors include the use of tattoos as a form of punishment, laws banning them, the assumed connection between tattoos and organised crime (which grew out of the ’60s yakuza film boom) and the influence of Confucian morality. Standing against such prejudice, the Bunshin collection shines a light on millennia of tattoo history, as well as on the global tattoo moment of today.